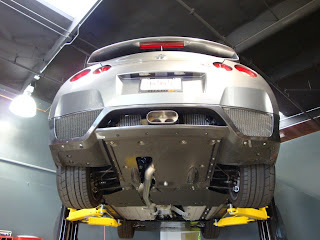 BBI Autosport Center Exit Exhaust for the Nissan GT-R.
Used BBI exhaust weighs 40lbs less than the stock exhaust and makes more power. $1,900 OBO.Contact Chris. 20 hp Gain with AMS Cast Downpipes . Royal T - Blue Nissan GT-R R35.